ANZAC Day services will take place across WA, marking the 100th anniversary of the most devastating battles in Australian military history. Local Returned Services League sub-branches and other organisations will hold services and parades to commemorate those involved in World War I and battles on the Western Front in 1916. Details of all services are also available at www.rslwahq.org.au. April 25 morning service from 7am at Guilderton Country Club, followed by breakfast and Diggers Cup Competition (golf and bowls in teams of four). Call Sam Collard on 0427 442 974. April 25: St Mary Magdalene Church, Lysander Avenue will be open for prayer and quiet reflection from 9am to 6pm. Call 9304 8396 or visit www.heathridge.perth.anglican.org. 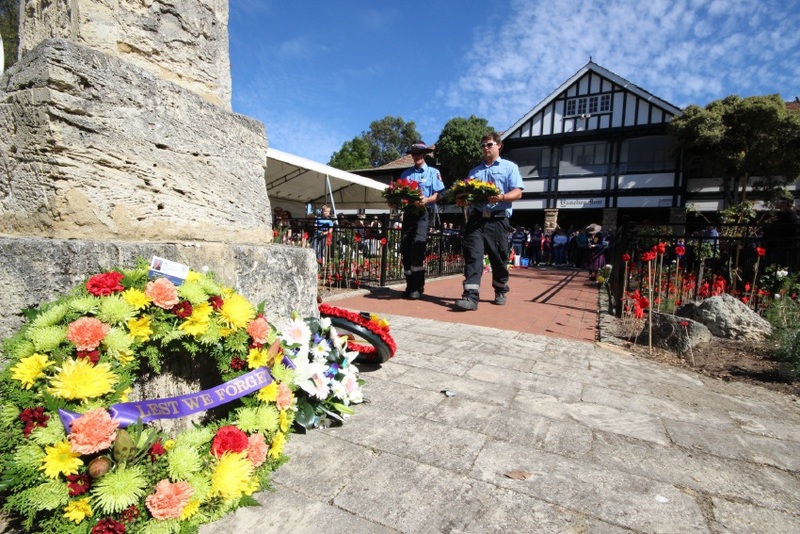 April 25: Wanneroo Joondalup RSL dawn service in Central Park, Grand Boulevard from 5.50am. Call Wendy Tuffin on 0412 467 445. April 25 meet at Harold Park, dawn service from 6am and march to the tavern at 6.30am, with gunfire breakfast from 7am and two-up after noon. Email Norm Pearce at navypearce1@bigpond.com or call 9655 1161 or 0438 320 564. April 25 dawn service from 5.45am at Ocean Reef Sea Sports Club, including fly-past and gunfire breakfast to follow. Email kpbevan@bigpond.com or call 0415 443 138. April 25 commemorative ceremony with fly-past from 6am at Quinns Rocks Sports and Social Club, Tapping Way. Gunfire breakfast from 7am and two-up from 1-4pm. Email Lisa Wallis at lisa.wallis@mp.wa.gov.au or call 0403 827 689. April 25 morning service starts 11am. April 25: Wanneroo Joondalup RSL march form up at Aquamotion carpark at 7am, marching to Memorial Park for service and morning tea. Call Wendy Tuffin on0412 467 445. April 25 dawn service at 5,45am followed by gunfire breakfast at Yanchep Sports and Social Club, Yanchep Beach Road. Main service and parade in Yanchep National Park from 11.30am. Email Malcolm Gow at gowms@aol.com or call 9561 2217.